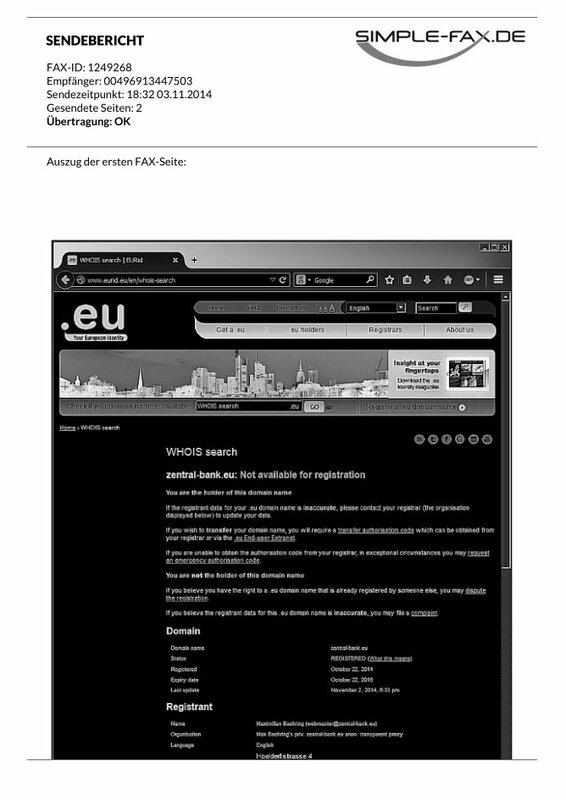 Everybody could get Information specially optimised regarding to his browser or Ip-Adress or a Cookie or a Login! The Internet is not a newspaper where every of the thousands of prints is looking the same. 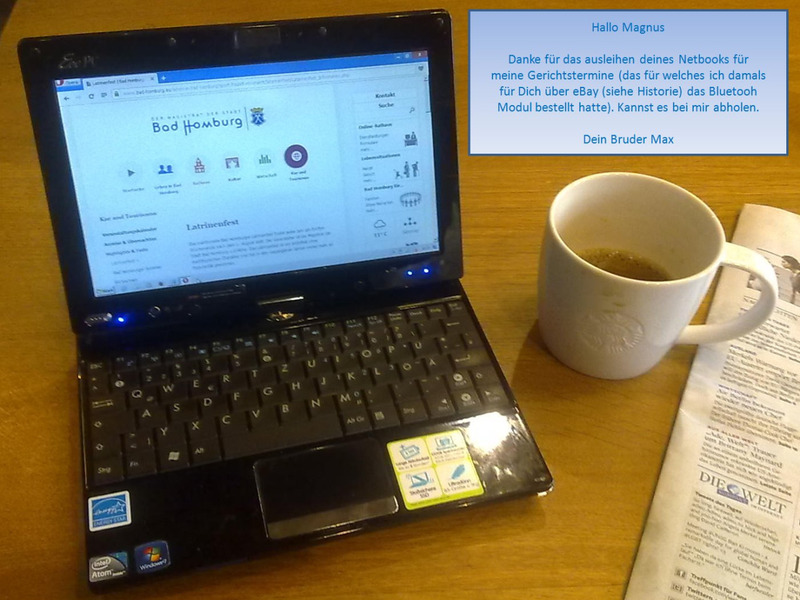 In Internet each client can have spezialized Version of the News only printed for him. MASSIVE DANGER for fiancial isntiutions to get wrong prices/rates/courses fpor lets say stock options. 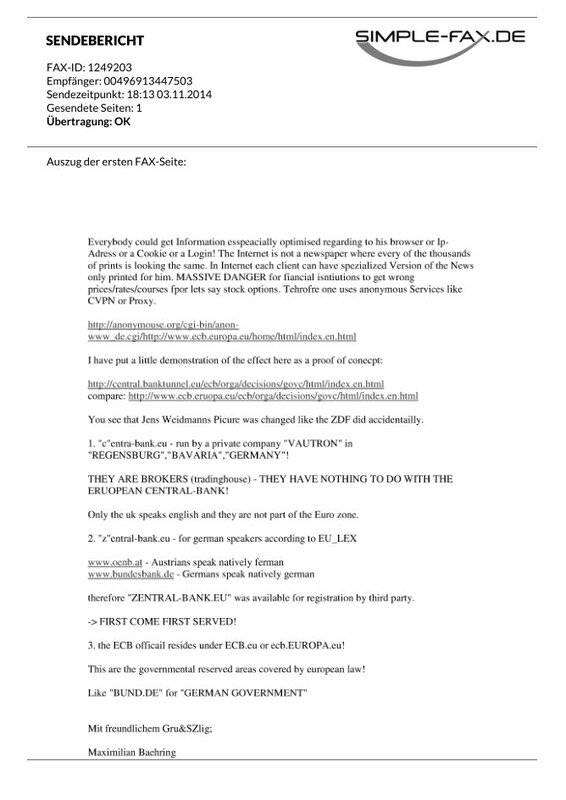 Tehrofre one uses anonymous Services like CVPN or Proxy. You see that Jens Weidmanns Picure was changed like the ZDF did accidentailly. 1. ?c"entra-bank.eu - run by a private company "VAUTRON? in ?REGENSBURG?,?BAVARIA?,?GERMANY?! 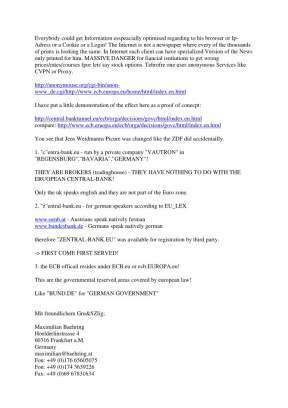 THEY ARE BROKERS (tradinghouse) - THEY HAVE NOTHING TO DO WITH THE ERUOPEAN CENTRAL-BANK! Only the uk speaks english and they are not part of the Euro zone. 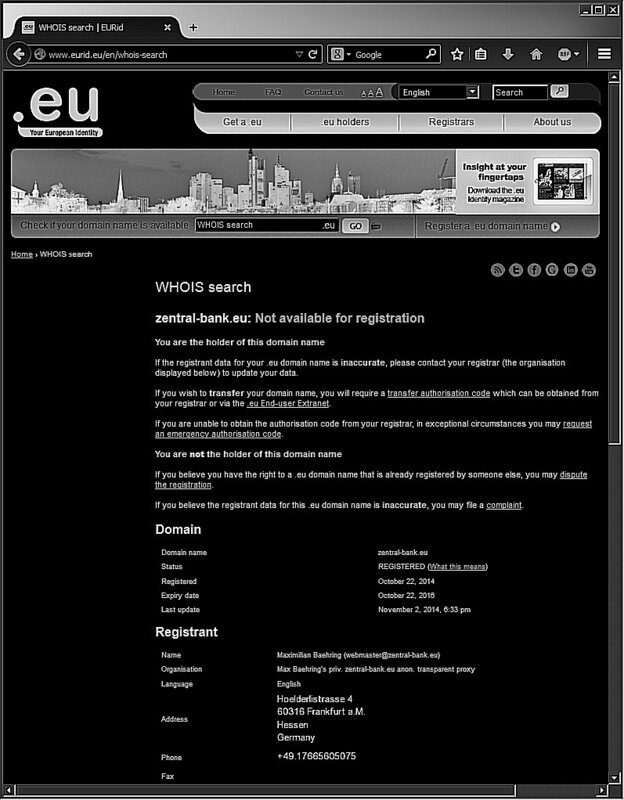 therefore "ZENTRAL-BANK.EU? was available for registration by third party. -> FIRST COME FIRST SERVED! 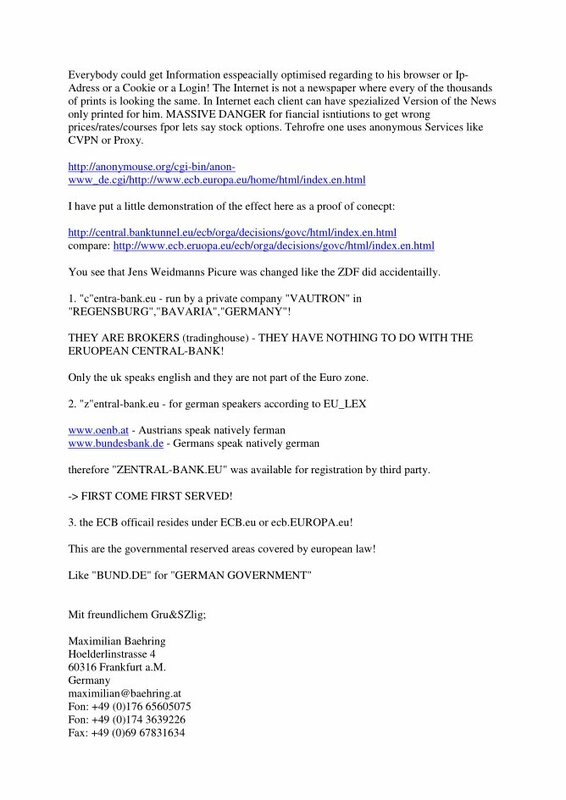 3. the ECB officail resides under ECB.eu or ecb.EUROPA.eu! This are the governmental reserved areas covered by european law! Like ?BUND.DE? 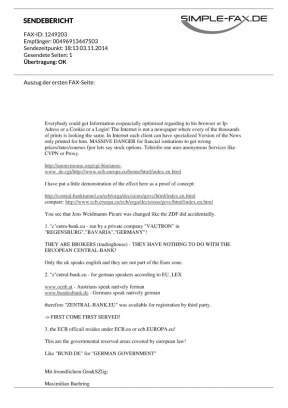 for ?GERMAN GOVERNMENT?